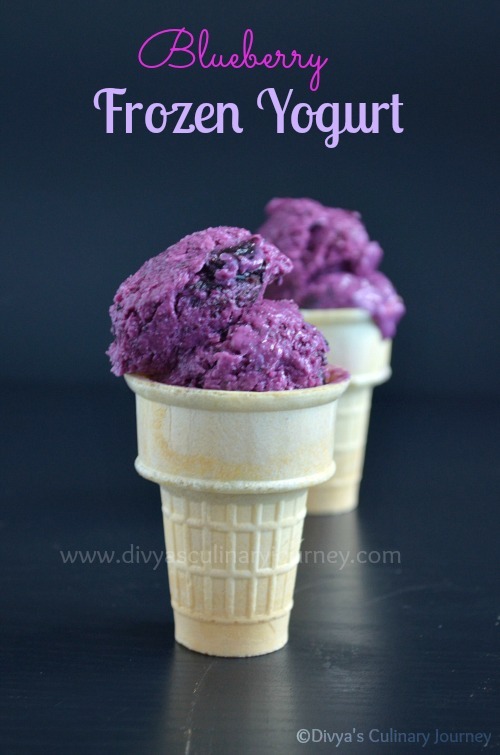 Learn how to make blueberry frozen yoghurt at home without an ice cream maker. Preparation: Place yogurt in a cheesecloth lined strainer/ colander, with a vessel underneath to collect the whey water. Place this set up in the fridge overnight. The hung yogurt would have almost reduced to half(compared to the original quantity). In a saucepan, stir in blueberries, 1/2 cup sugar and 3 tbs water and simmer them till the sugar is completely dissolved and blueberries have softened. Then turn off the stove and let it cool. Once they are cooled, whisk this mixture with the hung yogurt and vanilla if using till they are well blended. Scoop the frozen yogurt in bowl and serve. 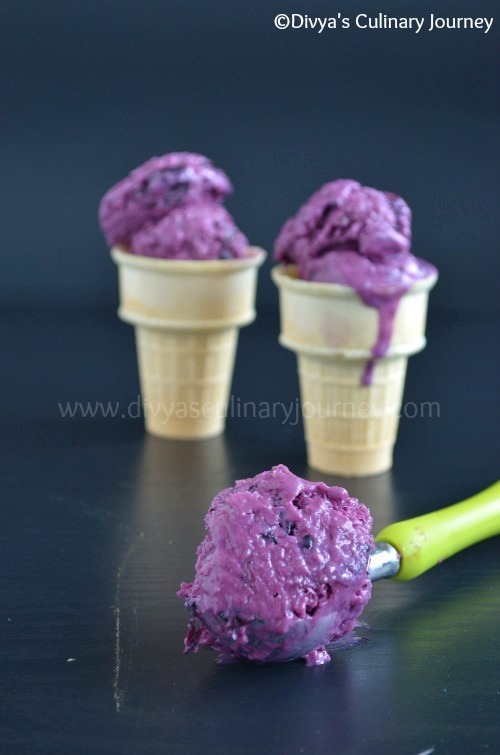 Instead of normal yogurt, you can use greek yogurt too. In that case you can omit the straining process. Love the color of this. Yum birthday treat. Sis, truly my eyes are filled with tears, am speechless and so nice of u dear, ur words are making me happy and seriously i feel that am the most lucky person in tha world to get u all..Am thanking god for this..
Love that bright purple colour sis, fro yo is just calling me..Thanks again for ur virtual spread, feel so special sis. Looks so yummy, lovely color. yummy and the color wow akka want to grab now itself. 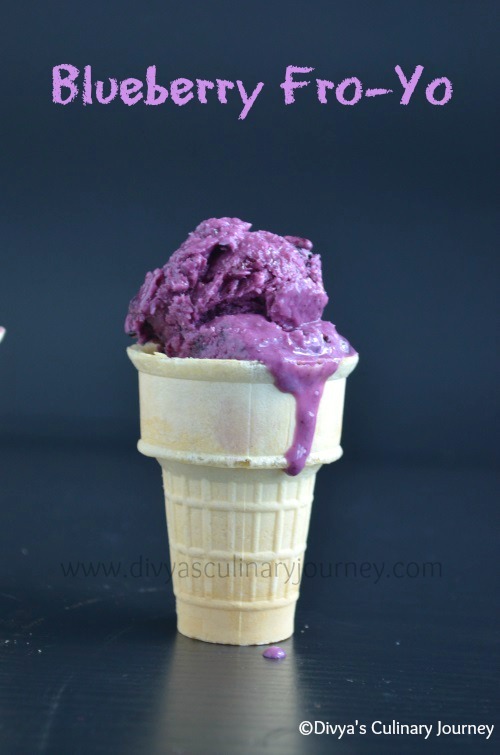 wow look at this ice cream i am drooling here divya looks so good yummm. blueberry for yo looks so cute and delicious...lovely clicks Divya..nice! Such a pretty birthday treat for a blogger friend. Lovely clicks!